With an array of upholstery types you may be asked to clean during your professional cleaning tasks, it can be difficult to know which Prochem upholstery cleaner to use. By checking our Prochem Upholstery Cleaning Guide, you can quickly reference which Prochem cleaning product to use on each fabric type to be sure that you can achieve the desired results without risking damage to delicate fabrics such as velvet, suede and leather. Prochem manufacture a huge range of carpet and upholstery cleaning chemicals to tackle a wide range of soiling, stains and odours. Our Prochem Upholstery Cleaning Guide highlights some of the most common fabric types you may be asked to clean, along with the recommended Prochem chemical to clean the upholstery. Prochem cleaning products have been developed to provide incredible cleaning power to shift tough dirt and stains with ease. Prochem products are a firm favourite among professional carpet and upholstery cleaners, as the products work quickly and effectively, meaning happy customers and repeat business. It is a good idea to keep a kit of Prochem cleaning chemicals, so that you have the correct product at hand should you need to clean a particular carpet or fabric type which may require a specific, specialist chemical to achieve the best result. Our guide includes the correct Prochem upholstery cleaner to clean items such as mattresses, headboards and car seats. It is important that you can ascertain which Prochem product you should use to clean different fabrics. Some fabrics can react badly to some chemicals, causing colour bleed, shrinkage and texture change. By using the correct chemical along with the correct application methods, you can be confident that even delicate fabrics can be cleaned to the customer’s expectations. Prochem run a day-long upholstery cleaning course which provides a huge amount of valuable knowledge about fabric types and and how to use Prochem’s range of cleaning products to ensure the best results for your customers. It would be a great idea to attend the course whether you are just starting out as a professional carpet and upholstery cleaner, or if you’d just like to brush up on your knowledge. The course costs £120 + VAT which includes a hot meal plus buffet lunch along with 2 coffee breaks and a fully comprehensive training and reference manual to take away, as well as a Certificate of Attendance. Prochem’s 1 day upholstery cleaning course provides a huge amount of information; a must-have for any professional upholstery cleaner. During Prochem’s upholstery cleaning course, you will learn new methods of fabric identification and cleaning to help to ensure that your expertise sets you above the competition. 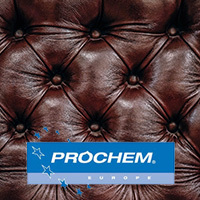 Click to visit Prochem’s website for further information about the Prochem upholstery cleaning course. Click to browse Prochem carpet and upholstery cleaning products.